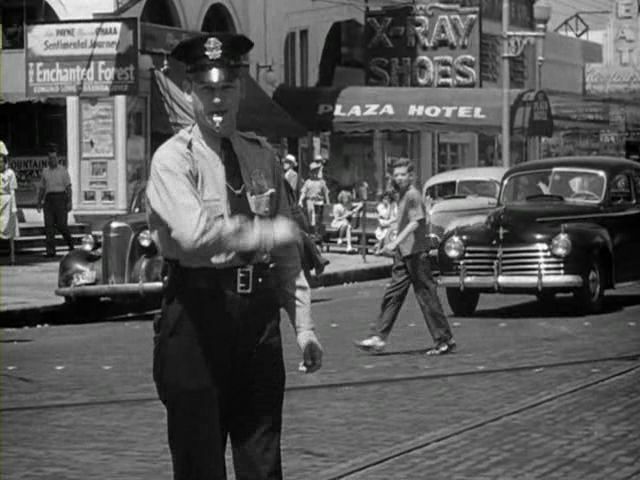 IMCDb.org: 1941 Chrysler New Yorker in "Dead Reckoning, 1947"
A huge sign for... X-ray shoes?? chicomarx wrote A huge sign for... X-ray shoes?? They were ahead of their time. Before Richard Reid, no one ever thought it was necessary to x-ray shoes.